When it comes to eLearning voice overs, the script is what gives an eLearning course its strength. But how do you find the perfect eLearning voice actor to breathe life into your brilliant eLearning content? Audio narrations are a great way to add some spice to your eLearning course. The bulk of your eLearning content may be in written or visual form. However, sound enhances knowledge retention and grabs online learners’ attention. Online training simulations, for example, work best with voice prompts. Audio guidance is also easier to absorb than large chunks of instructional text. Inserting a musical underlay makes the audio even more palatable. Unfortunately, all this effort can go to waste if you use the wrong eLearning voice actor. There is a broad range of voice acting talent available. 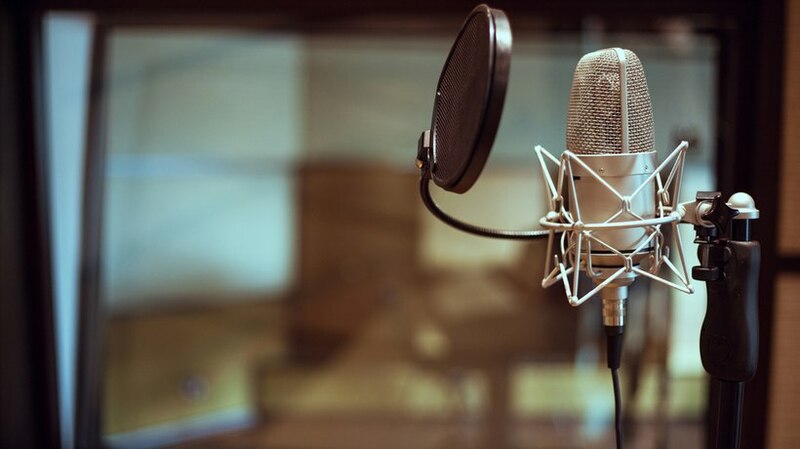 Here are 5 tips to hire the perfect eLearning voice actor for the job. Usually, when people are chatting, their tone varies. Sometimes, they pause. Other times they will raise their voice or hush it. There will be moments of excitement and moments of dismissed boredom. We tend to lose these voice dynamics once we’re in a formal setting. When we’re making a presentation, we usually speak in dull, tense monotones. It might be nerves, or maybe we think being formal equates to boring. This is where professional eLearning voice actors come in. They can maintain the excitement and engagement of conversation even in scripted settings. Get an eLearning voice actor that uses their voice in a vibrant, chatty way that is easy to listen to. Even if the context is formal and the material is dry, a conversational voice is better at holding learners’ attention. When listening to online samples, pay careful attention to their pace and vocal presence. As much as you want your eLearning voice actor to be chatty, you also want them to stay on brand. If your client is a law firm or a bank, credibility is key. In such cases, your eLearning voice actor can be conversational while still exuding authority. For artsy clients, you might go the unconventional route, using a child actor or a comedian. Imagine getting your dance online training from someone with an energetic Spanish lilt or learning how to create the perfect plate of pasta from an Italian chef. Scripting is the primary factor in how your eLearning course will be received, but voice makes a big difference too. Put some imagination into your voice acting choice. It will help bring your eLearning course to life. If you can, get voice demos from your prospective talent. Established eLearning voice actors have websites with samples of their work. They might even have testimonials from previous clients. If the eLearning voice actor doesn’t have a portfolio yet, you can ask them to do a recording for you. It doesn’t have to be anything hi-tech. They can make a simple recording on their phone. If you’re worried they might fake it, ask them to do an impromptu live demo. As a last resort, conduct a phone interview or have a Skype session. Their speaking voice is a good cue to what their scripted audio will sound like. Give them a few lines from your eLearning script and ask them to do a quick run-through. This will help you gauge energy levels, rapport, and feasibility. You’ll get to see or hear what they can do firsthand. If you’re hiring your eLearning voice actor remotely, you’d prefer to do the minimum amount of vocal editing. As part of the job’s description, explain how you want the files named. Describe the formats they should be saved in, and how to upload them. Include detailed technical specifications. You might worry that this will put off potential talent, but that can be a good thing. Putting off casual eLearning voice actors increases your chances of shortlisting top-notch eLearning professionals. Also, if you get someone with good technical ability, you will spend less time and money in the editing booth. Beyond recording quality, observe how your prospect interacts with you, whether it’s on email or over the phone. This shows you their level of professionalism, and that’s a huge deciding factor. There are a variety of vocal talent sites that give you the ability to view ratings and reviews. For example, the eLearning Industry has its own eLearning voice actor directory where you can search for the ideal candidate. You’re able to see user satisfaction ratings for each eLearning voice actor, as well as a summary of their services. Another option is to ask for recommendations from your eLearning network, such as social media groups and online discussions. Let everyone know you’re looking for an amazing eLearning voice actor for your eLearning course and that you are open to suggestions. They’ll be able to tell you who they’ve worked with in the past and possibly even provide more examples. For instance, the online training simulation that showcases the eLearning voice actor’s handiwork. Selecting an eLearning voice actor for your eLearning course can seem like a pretty straightforward task. It’s not. There are many factors you need to take into account. Look for an eLearning voice actor with a natural way of speaking. They should read the script in an engaging, conversational tone. They also have to fit into the brand image so that they blend with the eLearning course design instead of becoming a distraction. Include technical specs in your brief to draw higher levels of voice over talent. If all else fails, make a shortlist. Then get your team members to vote on which voice they like best. After all, they’ll be listening to that voice for a long time so it might help if they have a say in the matter. You probably have already realized that audio is one of its most effective supporting factors in eLearning, but how can you use it in the most effective possible way? Read the article Audio In eLearning: 7 Golden Rules For eLearning Professionals to discover everything you need to know about using audio in eLearning.